Why Should I Choose Hair & Senses for Hair Transplant Procedure? India has been considered as a hub for numerous treatments from past few years. A huge number of people come to India every year and undergo specific surgeries and treatment as required. Among both surgical and non-surgical options available for many health related conditions. One should have proper knowledge regarding pros and cons of the procedure or treatment before going for it. There is a very deep personal relationship between our hairs and self-esteem. Hair loss cannot be ignored as like any other regular health issues. There are many of the options available to treat hair loss. Both surgical and non-surgical options add many colors to the medical pallet. Hair & Senses – Hair Transplant Clinic based out of Delhi, is specialized in the treatment of male and female pattern hair loss. Dr. Sangay Bhutia is an active member of International Society of Hair Restoration Surgery (ISHRS) and American Academy of Aesthetic Medicine (AAAM) and has been providing best possible solution to hair loss at affordable cost. She has in-depth knowledge and rich experience of more than 11 years in treating hair loss patients. 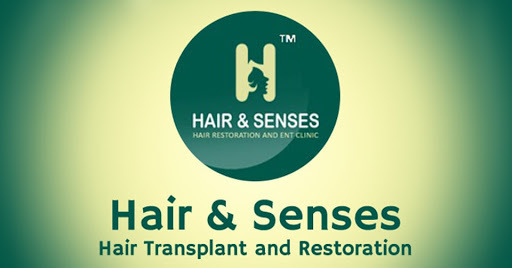 The team at Hair & Senses holds a rich experience in hair restoration including hair transplant, FUE hair transplant, body hair transplant, bad hair transplant repair, and conducted over thousands of successful cases for hair transplantation. The procedures done at Hair & Senses are very much pocket friendly as we charge on the number of graft basis, not on hair basis. So, here with us your hair transplant is going to be a cost-effective procedure. Hair & Senses uses advance techniques with the optimum use of latest medical technologies and equipment. Be it FUE or FUT hair transplant, the doctor and the team is well versed with all the techniques. As the doctor and the team is highly experienced the graft transaction and hence the wastage of the donor graft is minimum. You will get the most standardized, optimal and state of art facilities, thereby ensuring minimum pain or discomfort. Hair & Senses wide range of hair transplant service includes FUE hair transplant, Body Hair Transplant, Beard Hair Transplant, Facial Hair Transplant, Repair Hair Transplant and Eye Brow Hair Transplant both in men and women. All the counselling and consultation sessions are done by the doctor herself. Hair & Senses provides both online and offline consultancy regarding hair loss problems without any charges. We have a team of highly experienced staff who has experience of more than 8 to 10 years in this domain. Located in the Capital of India – Delhi. A perfect tourist place and spotlight for medical treatment as well.